The stadium is the third on-campus stadium and fourth stadium used for U of M football. Previous venues have been Northrop Field, Memorial Stadium, and Hubert H. Humphrey Metrodome. It is the first of three spectator sports stadiums that have been built for the major tenants of the Hubert H. Humphrey Metrodome – the Gophers and two professional teams, the Minnesota Twins baseball and Minnesota Vikings football teams. The Gopher football program played its first game there on September 12, 2009 against the Falcons of the United States Air Force Academy, prevailing 20-13. This was the first football game played on-campus since November 21, 1981, the last game in Memorial Stadium. The highest-ranked AP Top 25 team to visit was #2 TCU in 2015. Iowa is 3-3 against Minnesota in rivalry games played at "The Bank", and one of two ranked opponents that the Gophers have defeated in the new facility (#24 Iowa in 2010 and #21 Nebraska in 2013). At the conclusion of the 2018 season, the Gopher football team has an all-time record of 41 - 29 (0.5857) in games played at TCF Bank Stadium. The push for a new on-campus stadium for Golden Gopher football began in the fall of 2000. The university cited poor revenue and lack of a college football atmosphere at the off-campus Hubert H. Humphrey Metrodome as their main reasons for wanting to move back on campus. A plan for a joint Minnesota Vikings/University of Minnesota football stadium was proposed in 2002, but differences over how the stadium would be designed and managed, as well as state budget constraints, led to the plan's failure. In September 2003 a highly publicized attempt was made by T. Denny Sanford to be the lead donor for the project, but in early 2004 the plan fell through when the two parties were unable to come to an agreement on the financial terms. The university unveiled preliminary stadium drawings and a general plan to seek state money and donations in December 2003. On March 24, 2005, the university and TCF Bank announced a deal that would have the bank contribute $35 million towards the project which would give them naming rights. The deal was given an expiration date of December 31, 2005; time enough for the Minnesota Legislature to provide the bulk of funding needed to make the project a reality. During the remainder of 2005 the university concentrated on drafting a stadium proposal that would draw the support of state politicians. The final plan proposed that the state of Minnesota would contribute 40% of the stadium cost while the university would raise the remaining 60% on its own. Portions of that 60% were to be funded by the TCF naming rights, while the remainder would come from a $50 per semester student fee, private donations, the sale of 2,840 acres (11.5 km²) of university land in rural Dakota County back to the state, and game day parking revenue. Even though the university proposal drew widespread legislative support, the stadium effort suffered a setback when the 2005 legislative session ended before the stadium bill could be heard. Late in 2005 when it became evident that this would happen, the university and TCF Bank announced that it had extended the naming rights deal to June 30, 2006. Despite the 2005 session having ended with the bill not coming to a vote, the stadium effort did not lose momentum in the legislature and was introduced quickly in the 2006 session. On April 6, 2006, the Minnesota House of Representatives passed the stadium bill on a 103–30 vote. The house bill was nearly identical to what the university was proposing and had full university support. However, on May 9, 2006, the Minnesota Senate passed a radically different version of the bill on a 34–32 vote. The Senate version would have removed the TCF naming rights deal, the student fees, and the purchase of the university owned land. The proposed funding that was removed was to be replaced with a statewide tax on sports memorabilia. It also would have required the stadium to be named Veterans Memorial Stadium (similar to the previous on-campus football stadium Memorial Stadium, which was last used in 1981 and demolished in 1992). Governor Tim Pawlenty stated he supported the House version. He signed the bill in May 2006 at the University of Minnesota McNamara Alumni Center. Even though the differences between the House and Senate bills were major, the details were ironed out and approved on May 19, in a House–Senate conference committee. The naming rights and land sale remained in the bill, as did a scaled down $25 per year student fee. The tax on sports memorabilia as well as the Veterans Memorial Stadium name were voted out. The committee also voted to increase the state contribution to the project to compensate for the smaller student fees. The compromise bill was then approved by both the full house and senate on May 20, and was signed by Governor Tim Pawlenty on May 24. On June 8, 2006, the university announced that it had selected Populous to design the stadium. Populous (then HOK Sport) was one of the three finalists, along with HNTB Architects and Crawford Architects, that made presentations to the university on May 24, 2006. The local firm that worked on the project was Minneapolis-based Architectural Alliance, and M.A. Mortenson Company was the general contractor. Schematic designs of the stadium were presented to the public on January 3, 2007. Infrastructure work at the stadium site began in late June 2006, and a ceremonial groundbreaking took place at the stadium site on September 30, 2006. The beginning of construction on the stadium itself along with the unveiling of the stadium's logo took place on July 11, 2007. Site preparation and foundation work continued through the summer and fall of 2007. More than 8,800 tons of steel that make up the stadium's skeleton was put in place between January 28, 2007 – June 28, 2008. The stadium is located on the northeast side of the Minneapolis campus, near the site of the former Memorial Stadium, across from Williams Arena. The site was previously the Huron Boulevard Parking Complex, where the university's four largest parking lots were located. The address is 2009 University Ave S.E. The stadium is part of a 75-acre (30 ha) expansion of the Twin Cities campus, the largest since the West Bank was built in the 1960s. Current plans for the area call for the construction of as many as ten new academic buildings by 2015. The METRO Green Line light rail runs near the stadium, with a station in Stadium Village serving the facility. Construction of the Green Line began in 2010 and opened June 14, 2014. The two other major Twin Cities stadiums are located along this line, within a short distance and travel time on the Light rail line. An environmental impact assessment of the stadium site was conducted by the university between December 2004 and March 2006 at a cost of $1.5 million. The results were approved by the Board of Regents on March 27, 2006. The stadium is a horseshoe-style stadium which organizers said would have a "traditional collegiate look and feel". On December 7, 2006, the university announced that the stadium's field would be laid out in an unorthodox east-west configuration, with the open west end of the stadium facing campus. This layout, similar to that of Memorial Stadium, provides a view of downtown Minneapolis. On September 18, 2009, the University of Minnesota announced that the stadium was awarded LEED Silver Certification, the first college or professional football stadium to achieve LEED certification. The centerpiece of the stadium is the massive scoreboard, designed and built by Daktronics at a cost of $9 million. At 48 by 108 feet (14.6 m × 32.9 m), the HD-X light-emitting diode (LED) video scoreboard is currently the largest in college football-only stadiums, and was the third largest at the time of construction. The playing surface is FieldTurf, an infilled artificial turf, and the brick wall surrounding the playing field was made possible by an alumni donation of $500,000. Located on the stadium ground level is the Murray Warmath Locker Room, named in honor of the Gophers' national championship winning coach from 1954 to 1971. It is the largest home locker room in college or professional football, and features a block “M” lighting fixture and 120 custom-built cherry-wood lockers. [non-primary source needed] Adjacent to the Murray Warmath Locker Room are other team areas including a fully equipped training room, therapy room, medical exam rooms, an equipment room, custom coaches’ offices and locker rooms, a home media room, private recruiting room, and a training table for dining and nutrition. After a tour of the complex, Pro Bowl wide receiver Larry Fitzgerald remarked that, "This has got to be the best locker room in the Big Ten." To recognize that the venue was paid for with taxes statewide and to pay tribute to the support of Minnesota citizens, the names of the state's 87 counties are cast in stone around the perimeter of the first level. Each is engraved in a piece of cast stone that is 16 by 5.3 feet (4.9 m × 1.6 m) and weighs 6,500 pounds (2,900 kg). These panels are contained within the reminiscent Memorial Wall, which forms the external surface of the stadium building. This brick façade perimeter wall with arched portals reflects the heritage of Memorial Stadium's exterior, and a 360° colonnade provides a year-round walkway around the stadium. Displayed on the façade of the stadium's upper deck are panels commemorating the 7 national championships and 18 Big Ten Conference championships won by Minnesota in football, as well as ones distinguishing the five players whose numbers have been retired by the program. The Minnesota Tribal Nations Plaza encompasses the main western entrance to the stadium and is named in honor of the 11 Native American nations in Minnesota, featuring eleven 18-foot (5.5 m)-tall sky markers: one for each nation. The stadium also incorporates the Veterans Tribute, a memorial dedicated to Minnesota veterans, located in the open end of the horseshoe near the main plaza. The first phase of the construction includes approximately 50,805 seats, with the design able to support future expansion of up to 80,000 seats. The 10,000-seat student section is located in the eastern end of the stadium, and the area reserved for the University of Minnesota Marching Band is partitioned from it, situated directly behind the eastern end zone and framed by a backdrop labeled Pride of Minnesota. There are approximately 20,000 seats with permanent chairbacks in the stadium, located between the goal lines in both the upper and lower decks, but all remaining locations have aluminum bench seating with no backs. The stadium also features 1,000 handicap accessible and companion seats, and accessible seating is located throughout the stadium, including in the first row of the first level, the last row of the first level, and the last row of the second level. Premium seating includes 37 private suites, 250 indoor club seats, 1,250 outdoor club seats, and 50 loge boxes, along with access to the exclusive 20,000-square-foot (1,900 m2) climate-controlled DQ Club Room, which offers luxurious amenities to premium-seat ticket holders. The main concourse is on the second level and wraps around the entire stadium, open to the field of play. Concessions and many of the venue's 113 restrooms are located here. Located in the southwest corner of the stadium is Goldy's Locker Room, the team store, which spans two floors. The T. Denny Sanford Athletics Hall of Fame was opened in fall of 2010, positioned in the southwest end of the stadium next to Goldy's Locker Room. The more than 5,000-square-foot (460 m2) Hall of Fame is not football specific, rather encompassing all 25 of the University of Minnesota's athletic programs through dramatic imagery, artifacts, and interactive kiosks. Visitors to the Hall of Fame hear a soundscape with some of the great radio calls from Minnesota's play-by-play voices. The space also honors the members of the 'M' Club Hall of Fame with a wall complete with plaques for each inductee. The Hall of Fame housed the Floyd of Rosedale trophy after a win over Iowa in 2010. The media area is a three-tiered press box with 10 network TV camera positions and seating for 160 members of the media. The stadium was designed to be capable of supporting future seating expansion to 80,000. The 30,000 seats would be added above the second deck of the stadium from the end of the press boxes across to the northwest end of the venue, wrapping around the remainder of the horseshoe. The auxiliary video display currently adjacent to the easternmost section of the media areas would likely be relocated to atop the new third deck. The University of Minnesota could add all 30,000 seats in a single addition or in increments of 10,000 seats, meeting demand as it is needed (although the duplicated costs of such a plan make it unlikely). If expansion is ever undertaken, it can be completed in about 9 months so that there would be minimal interruption of a football season. The stadium's cost totals $288.5 million, of which the university will pay 52% and the state of Minnesota the remaining 48%. Including interest the state's cost is about $10 million per year or about $1.7 million per game for 25 years. About $50 million of the state's portion goes to the purchase of 2,840 acres (11.5 km²) of undeveloped university land, part of the Rosemount Research Center in Dakota County, over 25 years by the state of Minnesota who will assume responsibility for risks if the site requires environmental cleanup. The university retains its right to use the land for its "research, education and engagement mission" in perpetuity. The university's share was $111 million or 52%. TCF Financial Corporation of Wayzata is contributing $35 million over 25 years in exchange for the TCF Bank naming rights and other agreements. The university projected earnings of $2.5 million per year or $96 million over the life of agreements with TCF that will include marketing debit cards to alumni and ticketholders. If unable to fulfill its contractual obligations, TCF Financial Corporation must propose an alternate name subject to the approval of the university. Other corporate donations have been pledged as well, including Best Buy ($3 million), Dairy Queen ($2.5 million), Target Corporation ($2 million), Federated Insurance, General Mills, and Norwest Equity Partners. The university also accepts donations from individuals. Initially donations were only being sought from "high-end" donors (those contributing $100,000 or more), but in June 2008 the university expanded the fundraising effort to gather smaller donations as well. On May 21, 2009, the University announced they had received a $6 million donation from T. Denny Sanford, meaning the university had achieved its goal of $86 million in private fund raising. The remainder of the university's portion will come from a $12.50 per semester student fee ($25 per year) and game day parking revenue. Even though the cost of building TCF Bank Stadium originated at $248.7 million, changes in the construction planning raised the cost to $288.5 million. The university has vowed that even if the stadium cost rises again, it will not seek more money from the state nor increase the student fees any further. The University has been charging all U of M students a mandatory stadium fee of $12.50 every semester since planning for the project began, and is continuing this fee despite the stadium being finished. The cost of the stadium was $288.5 million of which the university had to pay 52%, and with an average of more than 50,000 students in a given year, in one semester the university makes more than $625,000 from the stadium fee, meaning they receive more than $12.5 million every 10 years from students. The Shakopee Mdewakanton Sioux Community (SMSC) agreed to donate $10 million for stadium construction, the largest gift Gopher athletics has ever received. The university matched an additional $2.5 million to create a $5 million endowment for scholarships for Native American and low-income students. The hospitality plaza on the stadium's west side and the scholarship were named to honor the community, and the plaza designed to "... celebrate the history, presence, and cultural contributions of all eleven Native American tribes in Minnesota". The University received an additional $2 million from the SMSC for construction of the plaza in 2009. University president Robert Bruininks originally planned to have the school apply for a state liquor license in order to serve beer and wine in limited areas of the stadium. Under his proposal, alcohol would have been available only to occupants of premium season ticket seats ranging in price from $1,800 to $45,000 a year. This is/was consistent with the University's long-held alcohol policy at other on-campus athletic venues, such as Williams Arena and Mariucci Arena. This is also consistent with other NCAA institutions (including all other Big Ten Conference teams except for the University of Michigan and Ohio State University) with on-campus stadiums. No Big Ten stadiums serve alcohol in their general seating. In May 2009, the state legislature passed a law that states that no alcohol may be served or sold anywhere in the stadium, including in suites and premium boxes, unless all ticketholders 21 or older in the stadium can buy alcohol at a game. The University of Minnesota regents voted on June 24, 2009, on Bruininks' subsequent proposal to ban alcohol entirely at campus athletic events (and also ban it in Mariucci and Williams arenas), which passed 10–2. In May 2010, the legislature passed a law saying that alcohol could be served in premium seating if it was also available in one-third of the general seats. Bruininks declined to ask the board of regents to make this compromise. Dan Wolter, a spokesman for the university, said, "We recognize and understand that underage drinking is a big problem in our society as a whole so that is a stand that the University wanted to take." On July 11, 2012, the university regents voted to allow beer sales at the stadium starting in the fall of 2012. The stadium replaced Northrop Auditorium as the home of the University of Minnesota Marching Band, providing it with direct access to the stadium field and new storage, rehearsal, locker room, and office facilities. The stadium has been host to the DCI Minnesota Drum & Bugle Corps competition sponsored by Drum Corps International and hosted by Minnesota Brass. The first competition, held on July 18, 2010, was cancelled during the show due to the touchdown of a nearby tornado. In 2011, the competition was won by the Cavaliers, and in 2012 was won by the Blue Devils. The stadium is currently home to the Drum Corps International Minnesota event, taking place in mid-July each year since 2010. The university also utilizes the stadium for intramural sports, career fairs, graduation ceremonies, and other special events. July 23, 2011 U2 Interpol U2 360° Tour 59,843 / 59,843 $5,163,440 The stadium's first concert was originally scheduled for June 27, 2010. However, it was postponed after U2 frontman Bono underwent emergency back surgery, and was rescheduled for July 23, 2011 after having been pushed back an additional week by the 2011 Drum Corps International Minnesota event. July 12, 2014 Imagine Dragons Atmosphere — — — This concert was part of the 2014 Major League Baseball All-Star game activities. May 23, 2016 Beyoncé DJ Drama The Formation World Tour 37,203 / 37,203 $4,174,270 First female artist to headline a stadium show in the Twin Cities area. Wiz Khalifa and Jeremih joined DJ Drama during the opening act. After the opening act had finished, the stadium was evacuated due to nearby lightning strikes. The show was postponed for 45 minutes. Minnesota State High School League state football and soccer tournaments, concerts, and marching band competitions have all been considered. The Minnesota State High School League's football championship games were played at the stadium in 2014 and 2015. TCF Bank Stadium was evaluated as a potential venue for a bid by the United States to host the 2018 or 2022 FIFA World Cup. In addition, TCF Bank Stadium was planned as a preliminary soccer venue in the Chicago bid for the 2016 Summer Olympics. On August 2, 2014, TCF Bank Stadium hosted a group B match as part of the International Champions Cup between Manchester City FC and Olympiacos. The Ottawa Fury also played Minnesota United FC as part of a double-header. A temporary grass field was laid over the artificial surface for the games. The field was 120 yards by 68 yards. The University of Minnesota women's soccer team continues to play at Elizabeth Lyle Robbie Stadium. For Minnesota United FC's first two seasons in Major League Soccer, the club played their home matches at TCF Bank Stadium as they awaited the opening of Allianz Field in St. Paul. The field for Minnesota United FC games are on 120 yd × 70 yd (110 m × 64 m). Per a $1 million agreement with the university, Minnesota United was forced to schedule its matches on separate weekends and not play on weekdays during the school's spring and fall semesters. The club also painted over the permanent markings in the end zones and at midfield for some matches. The provision was influenced by the temporary hosting of the Vikings, which used a labor-intensive process to change out the markings that left the field in worse condition for the Gophers. Due to a collapse of the Metrodome's roof, the Minnesota Vikings' Monday Night Football game against the Chicago Bears was held at the stadium on December 20, 2010, which was the Vikings' first outdoor home game since exactly 29 years before when Metropolitan Stadium was closed. The game ended with the Bears defeating the Vikings, 40−14. With the win, the Bears won the NFC North title and Devin Hester broke the kickoff return for touchdown record. This was Brett Favre's last game in the NFL after he sustained a concussion from being hit by Corey Wootton. The stadium hosted an outdoor NCAA hockey game between the Minnesota Golden Gophers and Ohio State Buckeyes on January 17, 2014. The Gophers won 1-0 with 45,021 fans in attendance. It also hosted to its first NHL contest on February 21, 2016 between the Minnesota Wild and the Chicago Blackhawks as part of the 2016 NHL Stadium Series. The Wild won 6–1 in front of 50,426 fans. ^ "TCF Bank Stadium". CBSi Advanced Media. Minnesota Athletics Official Athletic Site: Football blog. September 2, 2016. Retrieved 2 September 2016. ^ "Gophers Golden Moment". SportsBusiness Journal. September 21, 2009. Retrieved August 17, 2012. ^ "TCF Bank Stadium". Cemstone. September 12, 2009. Archived from the original on May 29, 2012. Retrieved August 17, 2012. ^ "TCF Bank Stadium". Vanderweil Engineers. Archived from the original on November 9, 2013. Retrieved August 17, 2012. ^ "Mortenson to Honor 24 Firms for Workforce Diversity-at TCF Bank Stadium and Target Field On November 18" (Press release). Minnesota: Mortenson Construction. November 18, 2009. Retrieved August 17, 2012. ^ Quarstad, Brian (August 19, 2016). "Minnesota United to play inaugural MLS season at new home: TCF Bank Stadium". Major League Soccer. Retrieved August 28, 2016. ^ "Athletic Facilities: TCF Bank Stadium". University of Minnesota. Retrieved August 19, 2013. ^ "TCF Bank Stadium". CBS. November 9, 2010. Retrieved January 10, 2016. ^ "About Gopher Football: TCF Bank Stadium". University of Minnesota. Archived from the original on October 29, 2013. Retrieved August 20, 2013. ^ a b Sheck, Tom (May 9, 2006). "Senate Passes Stadium Bills for Twins, Gophers, and Vikings". Minnesota Public Radio. Retrieved July 8, 2007. ^ Weiner, Jay (November 2007). "Getting Our Fix". Minnesota Monthly. Greenspring Media Group. Retrieved October 21, 2007. ^ Hippert, Rebecca (April 19, 2001). "Student senate minutes". University of Minnesota Student Senate. Archived from the original on January 16, 2009. Retrieved July 8, 2007. ^ Pugmire, Tim (December 13, 2002). "U of M May Go It Alone in Stadium Chase". Minnesota Public Radio. Retrieved July 8, 2007. ^ Scheck, Tom (February 18, 2002). "Committee Kills Vikings Stadium Plan". Minnesota Public Radio. Retrieved July 8, 2007. ^ Tibbetts, Than (October 19, 2004). "Officials: Stadium Plan Must Progress". Minnesota Daily. Archived from the original on February 11, 2008. Retrieved July 8, 2007. ^ a b "TCF Financial Corporation Gives $35 million". University of Minnesota. March 24, 2005. Archived from the original on January 13, 2006. Retrieved January 10, 2006. ^ a b "Stadium Sponsorship Agreement With TCF Extended". University of Minnesota. December 28, 2005. Archived from the original on May 5, 2006. Retrieved December 28, 2005. ^ "At the Legislature". University of Minnesota via Internet Archive. Archived from the original on January 9, 2007. Retrieved December 21, 2006. ^ "Unofficial Recorded Roll Call Floor Vote for H.F. NO. 263". Minnesota House of Representatives. April 6, 2006. Archived from the original on January 12, 2009. Retrieved December 21, 2006. ^ Lonetree, Anthony (March 29, 2006). "House Panel Adds Its Support to U Stadium Funding Plan". Star Tribune. Minneapolis. Archived from the original on June 14, 2007. Retrieved July 8, 2007. ^ "Permanent Journals of the 2006 Regular Session" (PDF). Journal of the Senate. Minnesota State Senate. 2005 - 2006 (Eighty–Fourth Legislature): 5332. May 9, 2006. Legislative Day 103. Retrieved December 21, 2006. ^ Kaszuba, Mike (May 9, 2006). "Gophers Stadium Plan Passes Senate". Star Tribune. Minneapolis. Archived from the original on March 16, 2007. Retrieved May 21, 2007. ^ "Stadium Bill Signed at McNamara". Regents of the University of Minnesota via University of Minnesota Alumni Association. May 25, 2006. Retrieved December 11, 2007. ^ Pugmire, Tim (May 20, 2006). "Stadium Bill Highlights". Minnesota Public Radio. Archived from the original on June 14, 2007. Retrieved July 8, 2007. ^ "Unofficial Recorded Roll Call Floor Vote for S.F. NO. 2460". Minnesota State House of Representatives. May 20, 2006. Archived from the original on January 12, 2009. Retrieved December 21, 2006. ^ "Permanent Journals of the 2006 Regular Session" (PDF). Journal of the Senate. Minnesota State Senate. 2005 - 2006 (Eighty–Fourth Legislature): 5780–5787. May 20, 2006. Legislative Day 111. Retrieved December 21, 2006. ^ a b Pugmire, Tim (May 24, 2006). "Pawlenty Signs One Stadium Bill; One to Go". Minnesota Public Radio. Retrieved December 21, 2006. ^ Kazuba, Mike (June 8, 2006). "Kansas City Firm Chosen to Design Gophers' New Stadium". Star Tribune. Minneapolis. Archived from the original on June 15, 2006. Retrieved June 8, 2006. ^ "Back to Campus". University of Minnesota via Internet Archive. Archived from the original on December 27, 2007. Retrieved December 21, 2006. ^ "Designs for TCF Bank Stadium Released to the Public". University of Minnesota. January 3, 2007. Archived from the original on January 16, 2009. Retrieved May 21, 2007. ^ "TCF Bank Stadium logo unveiled to signal start of Gopher football stadium construction". University of Minnesota. July 6, 2007. Archived from the original on May 9, 2008. Retrieved July 6, 2007. ^ "TCF Bank Stadium Construction PHASE 3". University of Minnesota via Internet Archive. Archived from the original on January 18, 2007. Retrieved December 21, 2006. ^ "Steel Set to Rise at TCF Bank Stadium". University of Minnesota. January 25, 2008. Archived from the original on January 16, 2009. Retrieved January 27, 2008. ^ "Stadium Location". University of Minnesota via Internet Archive. July 18, 2006. Archived from the original on May 2, 2006. Retrieved December 21, 2006. ^ a b Smetanka, Mary Jane (December 7, 2006). "Gophers' Stadium Costs Expected to Rise". Star Tribune. Minneapolis. Archived from the original on December 10, 2006. Retrieved December 7, 2006. ^ "Central Corridor Light-Rail Transit Factsheet" (PDF). Metropolitan Council. December 2006. Archived from the original (PDF) on June 15, 2007. Retrieved December 21, 2006. ^ "Environmental Review Process". University of Minnesota via Internet Archive. Archived from the original on August 7, 2007. Retrieved June 19, 2009. ^ a b "Regents approve stadium design, new price tag". University of Minnesota. January 3, 2007. Archived from the original on July 14, 2007. Retrieved July 8, 2007. ^ "TCF Bank Stadium achieves LEED Certification". University of Minnesota. Retrieved January 8, 2017. ^ "TCF Bank Stadium: About the Stadium: Design". University of Minnesota. Archived from the original on August 31, 2009. Retrieved June 18, 2009. ^ "Minnesota Selects FieldTurf for new TCF Bank Stadium". FieldTurf. 2009. Retrieved August 20, 2013. ^ "MN businesses contributed $91M to stadium, then they built it". Minneapolis St. Paul Business Journal. Aug 23, 2009. Retrieved August 20, 2013. ^ a b c "Murray Warmath Locker Room & Team Areas". University of Minnesota. Archived from the original on October 29, 2013. Retrieved August 20, 2013. ^ "U of M TCF Bank Stadium unveils first county signs". University of Minnesota. May 27, 2008. Retrieved August 19, 2013. ^ "Bringing History Back: University of Minnesota TCF Bank Stadium". Populous. 2009. Retrieved August 19, 2013. ^ "Gophers Retire Bobby Bell's No. 78 Jersey". USA Today. October 2, 2010. Retrieved August 20, 2013. ^ "Tribal Nations Plaza Dedicated at New Stadium". University of Minnesota. 2007. Retrieved August 20, 2013. ^ Riggs, Liz (November 15, 2006). "Appreciation day honors U veterans". Minnesota Daily. Archived from the original on November 16, 2007. Retrieved December 8, 2007. ^ "U to dedicate Veterans Tribute". University of Minnesota. September 9, 2009. Retrieved August 20, 2013. ^ a b c d "TCF Bank Stadium: A New Era for Gophers Football". Star Tribune. Minneapolis. February 9, 2011. Archived from the original on October 29, 2013. Retrieved August 19, 2013. ^ "TCF Bank Stadium Quick Facts". University of Minnesota. 2013. Retrieved August 20, 2013. ^ a b "TCF Bank Stadium". University of Minnesota. Archived from the original on October 29, 2013. Retrieved August 19, 2013. ^ "Stadium Features". University of Minnesota via Internet Archive. Archived from the original on October 25, 2007. Retrieved May 21, 2007. ^ "TCF Bank Stadium Premium Seating - DQ Club Room". University of Minnesota. 2013. Archived from the original on October 29, 2013. Retrieved August 19, 2013. ^ "T. Denny Sanford Athletics Hall of Fame". University of Minnesota. Retrieved August 19, 2013. ^ "TCF Bank Stadium: Media Areas". University of Minnesota. Archived from the original on October 30, 2013. Retrieved August 20, 2013. ^ "TCF Bank Stadium expansion". GopherHole.com. September 8, 2009. Retrieved August 19, 2013. ^ Wobschall, Mike (27 June 2014). "Northern Home: Vikings Choose North Sideline at Gophers Stadium". Vikings.com. Retrieved 18 July 2014. ^ "TCF Bank Stadium changes". Star Tribune. August 8, 2014. Retrieved January 4, 2015. ^ Zinski, Dan (July 17, 2014). "New Bleacher Construction Appears to Have Begun at TCF Bank Stadium". Fansided.com. Retrieved July 18, 2014. ^ "University of Minnesota Gophers football stadium". Minnesota Public Radio. May 24, 2006. Retrieved October 21, 2007. ^ a b Robson, Britt (June 7, 2006). "Gopher Broke". City Pages. Village Voice Media. 27 (1331). Archived from the original on December 4, 2008. Retrieved October 21, 2007. 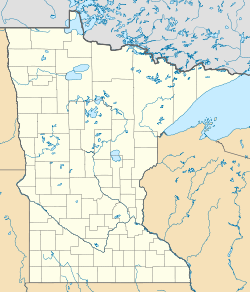 ^ The U of M Rosemount Research Center is an EPA Superfund site that required more review and "Institutional Controls" as of June 2007. "Third Five-Year Report for University of Minnesota Rosemount Research Center Site: Executive Summary" (PDF). 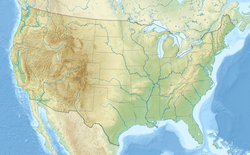 United States Environmental Protection Agency Region 5. June 15, 2007. p. 5. Retrieved October 21, 2007. ^ "TCF Bank Stadium Financing". University of Minnesota via Internet Archive. Archived from the original on October 25, 2007. Retrieved July 8, 2007. ^ Kaszuba, Mike (July 6, 2006). "TCF Perks Go Beyond Stadium's Name at U". Star Tribune. Minneapolis. Retrieved December 21, 2006. ^ Moore, Rick (April 7, 2005). "Stadium Agreement With TCF Has Extra Perks". UMNnews. Regents of the University of Minnesota. Archived from the original on June 13, 2007. Retrieved October 21, 2007. ^ Grovum, Jake (November 28, 2006). "TCF Band Stadium Could Be Renamed". Minnesota Daily. Archived from the original on November 30, 2007. Retrieved December 8, 2006. ^ Weinmann, Karlee (October 12, 2006). "Fundraising for Stadium On Track". Minnesota Daily. Archived from the original on January 5, 2007. Retrieved October 12, 2006. ^ Grovum, Jake (November 14, 2006). "DQ to Help Fund TCF Stadium". Minnesota Daily. Archived from the original on November 16, 2007. Retrieved December 8, 2007. ^ a b Haugen, Bryce (March 9, 2007). "Survey: Students Split Over Stadium, Predict Fee Increase". Minnesota Daily. Archived from the original on March 11, 2007. Retrieved March 9, 2007. ^ "New Gophers Stadium Starts Search for More Cash". KARE11.com. June 3, 2008. Archived from the original on September 5, 2012. Retrieved June 3, 2008. ^ "How Can I Help?". University of Minnesota via Internet Archive. Archived from the original on December 13, 2007. Retrieved June 19, 2009. ^ Kaszuba, Mike (July 11, 2007). "U's Stadium Dream Runs Into Financial Reality". Star Tribune. Minneapolis. Archived from the original on July 13, 2007. Retrieved July 11, 2007. ^ "Sanford Pledges $6M to Gophers Football Stadium". La Crosse Tribune. May 21, 2009. Retrieved May 21, 2009. ^ Hughes, Art (October 19, 2007). "Shakopee Tribe's Gift Moves U Closer to Stadium Fundraising Goal". Minnesota Public Radio. Retrieved October 20, 2007. ^ "U receives $12.5 million for stadium, scholarships". University of Minnesota. Archived from the original on December 14, 2007. Retrieved October 19, 2007. ^ Donation Report. Shakopee Mdewakanton Sioux Community. 2009. ^ Post, Tim (November 13, 2008). "U of M Wants to Sell Beer At Football Games, If You Can Afford It". Minnesota Public Radio. Retrieved November 13, 2008. ^ a b Shenoy, Rupa (June 7, 2010). "U of M Decides Not to Sell Alcohol in TCF Bank Football Stadium". Minnesota Public Radio. Retrieved June 7, 2010. ^ "Minnesota Laws, 2009, Chapter 120, section 8". State of Minnesota. 2009. Retrieved August 17, 2012. ^ Ebert, Alex (June 25, 2009). "No Booze for U Sports Fans". Star Tribune. Minneapolis: Avista Capital Partners. Retrieved June 25, 2009. ^ "U of M regents approve beer at TCF Bank Stadium". Northfield News. July 11, 2012. Retrieved July 12, 2012. ^ "2017 MLS Attendance - Soccer Stadium Digest". soccerstadiumdigest.com. ^ "2018 MLS Attendance - Soccer Stadium Digest". soccerstadiumdigest.com. ^ "World's Top Drum and Bugle Corps to Compete at TCF Bank Stadium". University of Minnesota. July 17, 2010. Retrieved November 9, 2013. ^ Wallace, Darcy (July 18, 2010). "Wild Weather Puts Damper on Inaugural DCI Minnesota Event". Drum Corps International. Retrieved November 9, 2013. ^ "Minneapolis, MN". Drum Corps International. July 16, 2011. Retrieved November 9, 2013. ^ University of Minnesota (2003). University of Minnesota On-Campus Football Stadium - Final EIS. ^ Hopp, Deborah (February 28, 2006). "The U's New Stadium Is About More Than Football". St. Paul Pioneer Press. Archived from the original on June 14, 2007. Retrieved July 8, 2007. ^ Riemenschneider, Chris (November 16, 2009). "U2 to Rock TCF in June". Star Tribune. Minneapolis. Retrieved December 22, 2009. ^ Riemenschneider, Chris (July 13, 2010). "U2 Reschedules for July 2011". Star Tribune. Minneapolis. Retrieved July 13, 2010. ^ Bream, Jon (May 24, 2016). "Review: Beyoncé reigns on a truly stormy night in Minneapolis". Star Tribune. Retrieved May 24, 2016. ^ Raihala, Ross (May 24, 2016). "Beyoncé brews up a storm of her own at Minneapolis concert". twincities.com. Retrieved September 12, 2016. ^ "Homecoming Concert: Kesha and Jidenna". Golden Gophers. Retrieved 25 October 2016. ^ "TCF Bank Stadium, Metrodome in Running to Host World Cup Soccer Games in 2018 or 2022". St. Paul Pioneer Press. April 9, 2009. Retrieved April 9, 2009. ^ "USA Bid Committee Issues Requests For Proposals to 37 Potential FIFA World Cup Host Cities For 2018 or 2022". US Soccer. June 16, 2009. Archived from the original on June 19, 2009. Retrieved June 16, 2009. ^ "USA Bid Committee Announces List of 27 Cities Still in Contention For Inclusion in U.S. Bid to Host FIFA World Cup in 2018 or 2022". US Soccer. August 20, 2009. Archived from the original on September 26, 2009. Retrieved August 22, 2008. ^ Greder, Andy (March 7, 2017). "United's stadium contract with U limits game days, field alterations". St. Paul Pioneer Press. Retrieved February 20, 2019. ^ Greder, Andy (August 5, 2017). "Vikings deal influenced Gophers logos staying on field for most United games". St. Paul Pioneer Press. Retrieved February 20, 2019. ^ Kaplan, Seth (December 14, 2010). "Vikings Will Play at TCF Bank Stadium". KMSP. Minneapolis. Retrieved December 14, 2010. ^ "Bears 40 Vikings 14". National Football League. December 20, 2010. Retrieved August 17, 2012. ^ "Brett Favre of Minnesota Vikings Leaves Game After Hard Hit". ESPN. December 21, 2010. Retrieved August 17, 2012. ^ Siddons, Larry (January 3, 2011). "Brett Favre Says He Played His Last Game After Watching Vikings' Loss". Bloomberg. Retrieved August 17, 2012. ^ Florio, Mike (February 21, 2012). "Vikings Strike Tentative Deal to Play at TCF Bank Stadium". NBC Sports. Retrieved August 17, 2012. ^ Vomhof Jr., John (July 10, 2013). "Mortenson to Upgrade TCF Bank Stadium for Vikings". Minneapolis/St. Paul Business Journal. Retrieved October 27, 2013. ^ "Minnesota enjoys memorable Hockey City Classic win over Ohio State - FOX Sports". January 18, 2014.